CF382A HP yellow toner is compatible with colour multifunctional laser printers HP LaserJet Pro M476dn, M476dw and M476nw. According to the manufacturer, the yield is up to 2700 pages at the standard 5% coverage. The advantage of the original toner is 100% compatibility with HP products and high-quality printing. For shipping to other EU countries visit this page HP CF382A No. 312. Chcete doručit zboží do Česka? 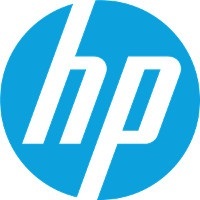 Prohlédněte si HP CF382A č. 312 žlutý. Chcete doručiť tovar na Slovensko? Prezrite si HP CF382A č. 312. Magyarországra történő kiszállításért tekintse meg ezt a termékoldalt: HP CF382A No. 312 sárga.